gen explores a perspective of instrumentation and temporal listening landscapes. 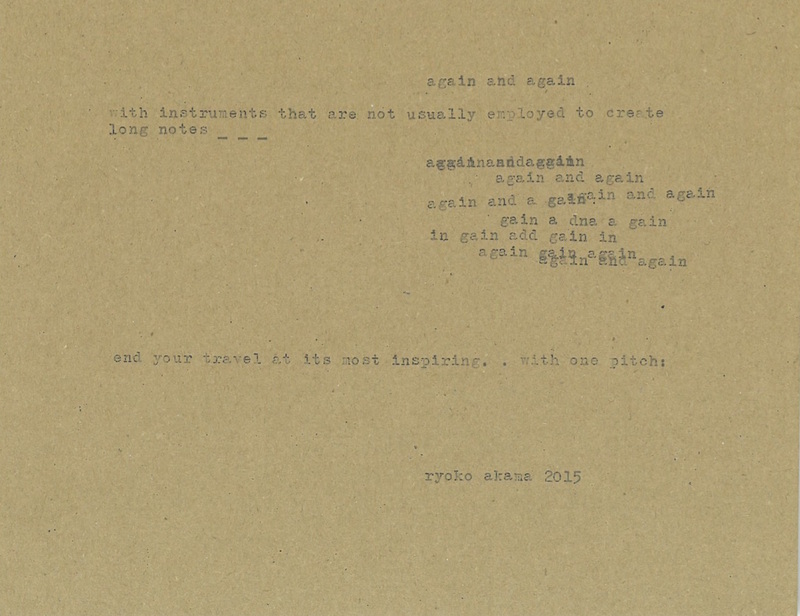 gen is a musical proposal for a sound installation project that Akama and Baars are currently developing. The composition was actualized with bowed shamisens (a Japanese three-string instrument) and a psalmodicon (a Scandinavian one-string instrument). The shamisen and the psalmodicon are both traditional instruments.They share a kind of minimalism of expression and use numeric systems of notation. The animalistic spirit present in both instruments (leather resonance box and gut string, respectively) contributes to the ritualistic sensibilities of the composition. Recorded at the Sendai Community Centre, University of Huddersfield, Private Studios.